I was walking past a mirror the other day and I caught a brief glimpse of my reflection and couldn’t help but look back to have a proper look. These days I don’t seem to get time to put on makeup, or do my hair, so I wanted to check that I didn’t look too much of a state. But I looked back and did an almost comical double take – I didn’t recognise the person staring back at me. She didn’t look a state – hair was brushed, if not styled, she didn’t have lipstick on her teeth – but it wasn’t the image I have of myself in my head. She looked more tired, more drab, more frumpy, and older. So much older. But it’s not just on the outside that I’ve changed – I find it hard to think of myself as the same person as before. I feel like my spark has gone and I’m devoid of personality right now. Tiredness definitely plays a huge role – I’m so physically, bone-achingly tired, that I struggle to hold a conversation. I can’t remember details that people have shared with me about their lives, which makes me seem uninterested, and so I know I’ve withdrawn from meeting up with friends. By the time my husband gets home from work and the children are in bed, I can barely form a sentence. He talks to me about his day, but the words just sail over my head, in one ear and out the other. I swore it wouldn’t be like this second time around. It took me by surprise as a first time mum. I only realised that I felt so lost when I started to regain a bit of that sense of self after the first year of motherhood had passed. I vowed that I would keep more on top of things like my beauty regime, and keep buying clothes, and doing little things that make me happy. I didn’t expect motherhood to hit me like a tonne of bricks again – I knew what was coming this time, and I was used to being a stay at home mum now. I’ve bought the clothes, I’ve been better about wearing makeup most days (I love it, and it makes me feel human). But the clothes don’t look quite how I imagined them once I put them on, and the makeup can’t hide the dark circles and the puffy cheeks. I’m a good two dress sizes bigger than I want to be, and I’m so tired that I crave sugary foods, which mean I’m not likely to lose that weight any time soon. This new body is unfamiliar, and I don’t know how to dress it. Especially trying to work in the whole ‘can I breastfeed in it’ factor. And no matter the benefits of breastfeeding, it’s a huge tie to your baby. It means you can’t leave them for more than a few hours, and it’s yet another reason I feel my body isn’t my own; it belongs to my baby right now. Well, my baby and my 3 year old, who insists on demanding a cuddle and stroking my neck. By the end of the day I’m completely touched out by both my children. 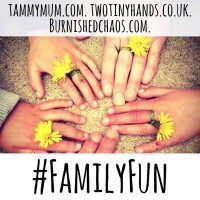 When I realised that I was so lost first time around, I put a big part of it down to finding my way as a mum. As a first time mum your whole life is turned on its head and you’re learning all the time about how to navigate new situations and pick up new skills. It doesn’t feel like an unknown path I’m treading this time, so why do I still feel so lost? I know that it will get better. One day my baby will sleep, and one day, I’ll start to feel like me again. But right now, I’m treading water, just trying to keep afloat.